Polls have opened in the second Brexit by-election with Labour aiming to take advantage of mild weather to boost turnout. 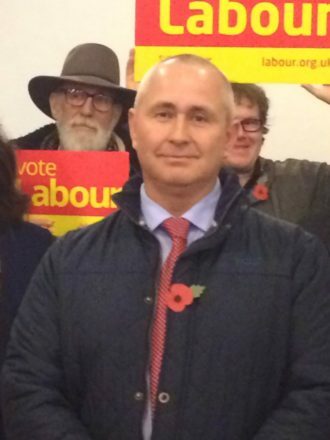 Jim Clarke, a dustman and GMB activist, hopes to make inroads into the Tory vote but paediatrician Caroline Johnson is favourite to replace Stephen Phillips, who stepped down over “irreconcilable policy differences” with his boss Theresa May. Temperatures in Sleaford are expected to run between 10 and 13 degrees Celsius for much of today, in contrast to the near-zero conditions which provided the backdrop to the poll in Richmond Park a week ago. Clarke is one of 10 candidates fighting the seat which is located in North Kesteven which, at 62.2 per cent, was one of the strongest Brexit-supporting areas. When he was selected as Labour’s candidate Clarke said immigration “played a big part” in the vote to leave the EU. Among the high-profile Labour figures to have dropped into the campaign are Jeremy Corbyn, Glora De Piero and, this week, John Prescott. In last year’s general election Labour came second in Sleaford and North Hykeham, behind a Tory majority of 24,115, with UKIP close behind them in third place. UKIP, whose candidate is Victoria Ayling, has flooded the seat with activists in an attempt to revive their fortunes under new leader Paul Nuttall. It was embarrassed this week, however, when former leader Nigel Farage was photographed in front of a campaign banner which spelt the name of the constituency incorrectly. The Lincolnshire vote has so far attracted a lower-profile than the by-election in Richmond Park, where billionaire Brexit-backer Zac Goldsmith suffered a shock defeat to the Lib Dems’ Sarah Olney having triggered the contest in protest at the expansion of Heathrow airport. Christian Wolmar, the Labour candidate, came third and lost his deposit despite staging a strong campaign.